Osborne Super Jet fans power-move air throughout buildings by creating a jet stream of beneficial air. Because of their super-circulation capacity, large, power-hungry floor or basket fans are not necessary. 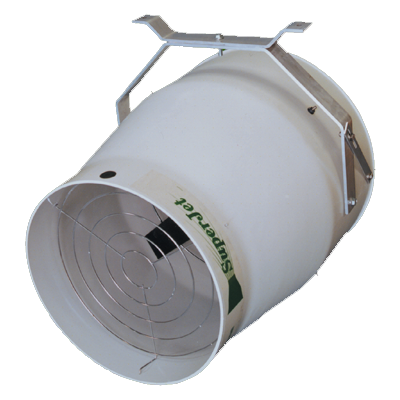 These fans provide the proper mixture of air in your buildings allowing a uniform amount of fresh air to reach each animal. For replacement motors, call Customer Service and reference part REM-5100.